Danny Cheng: "Banned Google and YouTube in China? wtf? lucky we live in Hong Kong :)"
Engadget: "It's not quite the ceasing of operations that the local papers were reporting last week, but Google has announced today what it's calling an "entirely legal" way of giving mainland China unfiltered search results. 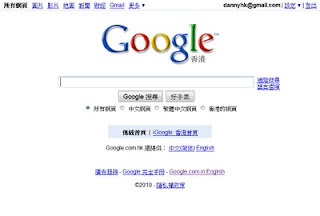 The Google.cn domain now redirects to its Hong Kong servers via Google.com.hk, providing uncensored access in simplified Chinese. Needless to say, any mainland Google China servers have thus been given an early retirement. "We very much hope that the Chinese government respects our decision, though we are well aware that it could at any time block access to our services," writes David Drummond, SVP of Corporate Development and Chief Legal Officer, on the official Google Blog, while also noting to expect some slowdown while the HK servers deal with an expanded load of users. As for its men and women on the ground, Google reiterates that these decisions were driven by executives in the U.S. "and that none of [its] employees in China can, or should, be held responsible for them." R&D work will continue on the mainland, and a sales presence will remain. The company has created a "China service availability" page, promised to be updated daily, for seeing what parts of Google's business are being blocked by the country at any given time -- as of today, that includes Youtube, Google Sites, Blogger, and partial blocks of Docs, Picasa, and Groups. We're very curious to see how the page'll look in tomorrow's update. Update: China has given its own response, in English. The wording is rather harsh, remarking that " it is unfair for Google to impose its own value and yardsticks on Internet regulation to China, which has its own time-honored tradition, culture and value." The statement goes on to say that the Google's "ambition to change China's Internet rules and legal system will only prove to be ridiculous" and should it continue to "politicalize itself," it'll only lose credibility among the country's web users and ultimately "will make Google end up to be the biggest loser." Full statement via CCTV. " You'll be able to get Move in three ways: in a bundle with a PS3, standalone, and in a starter kit targeted at "under $100" with the PS Eye, a controller, and a game. That's all the pricing info we have right now, but it certainly sounds aggressive -- Sony says they're treating this like a major console launch, so expect to see this everywhere when it launches around the holidays." 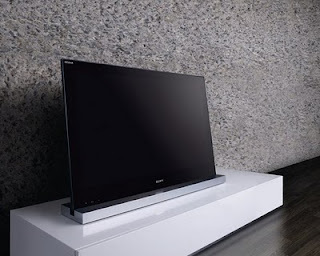 FF: "I want more good games :)"
Yanko Design: "Sony is taking the LED HDTV game to a whole new level with their art-inspired Bravia NX800 series HDTV. Priced from HK$19,880, the new NX800 features 200HZ Motionflow technology, integrated WiFi and even an ambient light sensor to automatically adjust the TV brightness based on the lighting level in the room. With support for Netflix, YouTube and Slacker movie and music streaming built-in, there really is no reason to even turn on your PC – or get off the sofa for that matter. Other features include a USB port so you can play music, pictures or video from a thumbdrive. Sony produced about the auspicious design and the designers themselves. A brief glimpse into Sony’s Japanese headquarters and short interviews with the surprisingly young group of designers served its purpose by changing my mind about a company whom I once thought was extremely long in the tooth. These young people spoke of revision and change, admittingly taking responsibility for Sony’s lackluster design in the past decade. They saw 2010 as an opportunity to change everything. This time, they would define their own agenda. Instead of playing catch-up to other first rate brands, Sony would forge ahead with what they once dominated the ID landscape with; slick Japanese electronic design. The NX800 is the first of many products to embrace this new design aesthetic Sony calls Monolithic. Think tall, sleek, angular, and statuesque. There’s nothing organic about it. It’s meant to stand in opposition to everything else around it. Love it or hate it, it draws you in. This is the first time in a long time where I’ve felt Sony has a win. This isn’t like anything else on the market. It doesn’t look like LG, Samsung, Vizio, Toshiba or Apple. 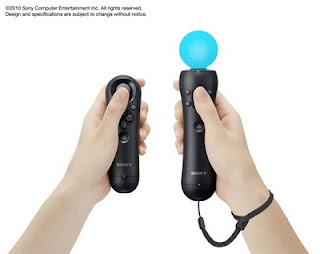 This is uniquely Sony. This is a good thing. Sony has always had great technology but they could never find a way to package it in a compelling way. Designed to create a remarkable sense of space, the 52″ NX800 has an innovative six-degree tilt, so you can position the TV at lower levels. Mounting on walls is so passe now. The entire screen is Edge LED backlight providing instant on/off. The latest BRAVIA Engine lives up to its reputation by delivering incredibly saturated imagery rich in detail and color. The 240Hz screen means action oriented imagery never “ghosts” or blurs as the refresh rate attempts to compensate. It’s all crystal clear, like glass. Having a razor sharp screen isn’t enough these days. All the major manufactures now share their panel tech and just slap on buzz words to make it all sound alluring. To be successful you’ve got to embrace where digital entertainment is moving towards – the internet. It’s got built in Wi-Fi and with your in-home broadband connection, you can access online content from Netflix, Slacker Radio, and YouTube. Although widgets are old news for computers – they’re new for TV’s. The NX800 lets you watch programs with multiple widgets open and arrange them however you want." FF: "I love this TV so much, It shows extreme attention to detail. Kudos Sony." 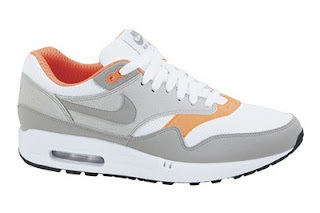 hypebeast: "Spring 2010 welcomes another colorway of Nike’s Air Max 1, this time done up in a simple grey/orange color scheme, accented with white throughout. Suede and mesh make up the uppers with a toned down orange adding just enough pop for Spring. Look for these to drop early next month via Nike retail accounts"
FF: "Nice, I like Orange and Nike :)"